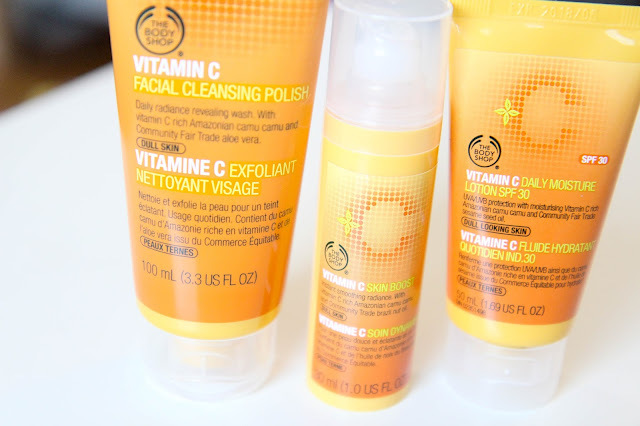 I'm not stranger to the Body Shop's Vitamin C lineup and thought it about time to really dive into what makes this line so good. There are other products in the line besides the ones featured today, but I'll get you a good overall idea of what it's all about. The entire Vitamin C line's goal is to add life back to dull and boring skin. I'm pretty lucky when it comes to my non-problematic skin, but I do find that it just isn't glowing without some effort. The Vitamin C line replenishes moisture and plump-ness back to the skin in the best kind of way. My favorite product from the Vitamin C line is by far the Facial Cleansing Polish. I've also actively used the microdermabrasion as well, but the cleansing polish is everything you could want in a cleanser. It has little beads to get deep into the skin, without feeling harsh or abrasive. The smell is divine (something I don't say too often around these parts) like a mix between oranges and good mornings. I love how clean and fresh my skin feels after a good cleanse with this stuff. The Daily Moisture Lotion is another really great product from the line and I'm on my second tube of it. It's a classic hydrating moisturizer that isn't fancy. It's not overly hydrating, but is more of an every day kind of deal. It's like one of those products that isn't flashy or elaborate, but just gets the job done without a complaint. 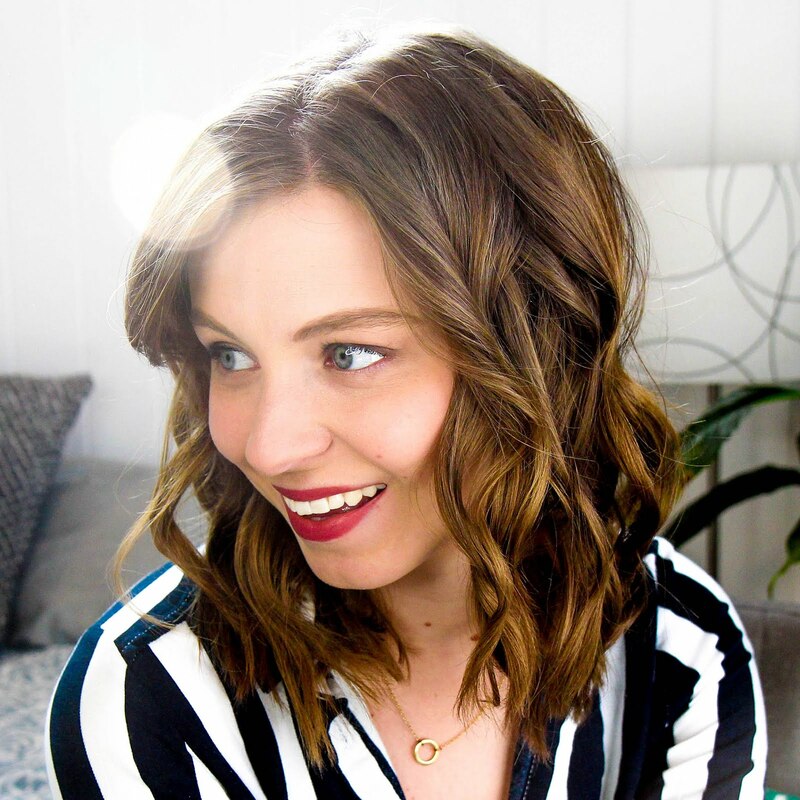 The Vitamin C Skin Boost is a new-to-me product from the line that I've really been loving testing out. I'd say it classifies as a serum of sorts but reminds me a lot of a thicker moisturizer in consistency and application. It aims to add even more brightness back to the skin and it seems to be doing the trick thus far. I don't have to constantly reach for my super dewy foundations anymore and can branch out to other options without worrying about my skin looking lifeless and flat. Overall I really enjoy the Vitamin C range and find myself constantly coming back to it in my skincare routine. It's fun, smells great, and isn't fussy. That's my kind of skincare. Have you tried the Vitamin C range before?